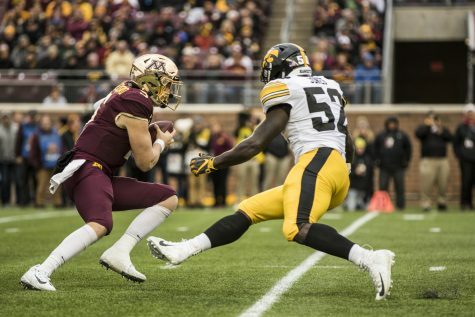 Every matchup on Iowa’s remaining schedule will be tough, but the next two games will be pivotal in Iowa’s divisional-crown hopes. 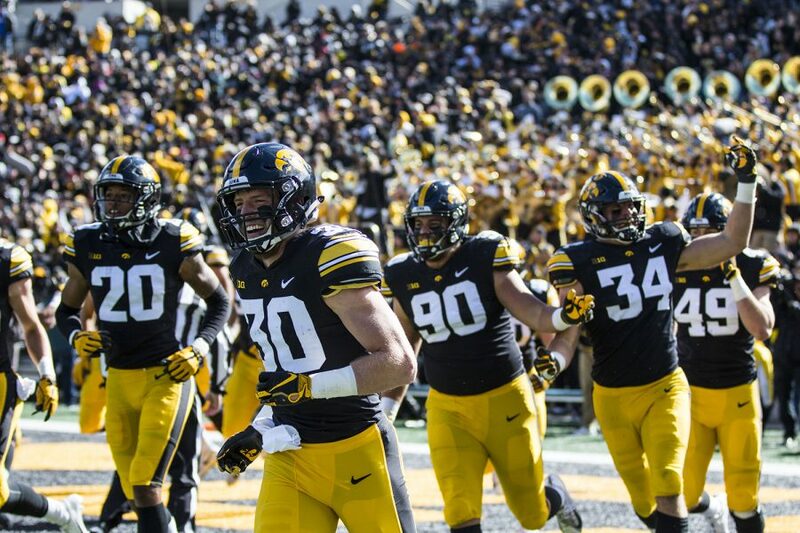 Iowa football players exit the field after scoring a touchdown on a fumble recovery during the Iowa/Maryland homecoming football game at Kinnick Stadium on Saturday, Oct. 20, 2018. 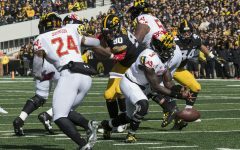 The Hawkeyes defeated the Terrapins, 23-0. 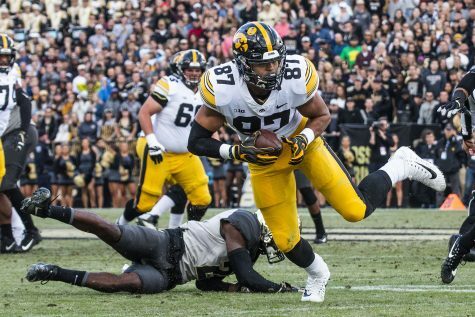 As the conference wins pile up, Iowa has a legitimate shot at representing the Big Ten West in Indianapolis this season. The next two weeks will essentially dictate whether Iowa will be in that position, however. For the Hawkeyes, it’s simple. Win out, and there’s a solid chance they win the Big Ten West. 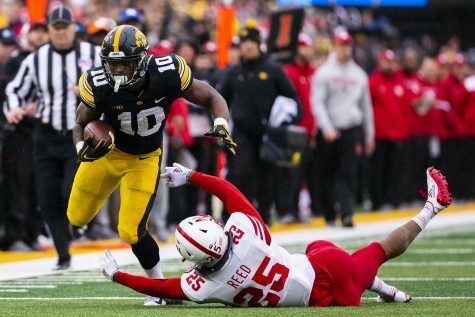 That’s easier said than done, as Iowa has its toughest road contests of 2018 back-to-back. 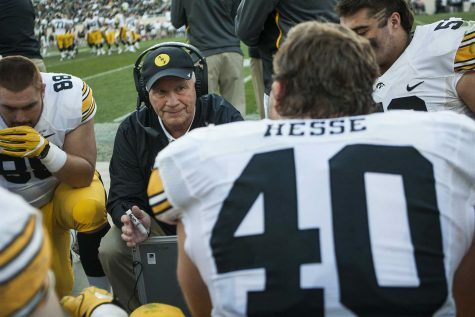 The one that jumps out on paper is the Hawkeyes’ trip to No. 17 Penn State on Saturday, for obvious reasons. 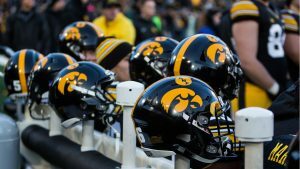 Penn State is the best team Iowa will face in the regular season. It has a questionable loss to Michigan State, but at this point, which Big Ten team doesn’t have at least one head-scratching loss? Penn State can put up points in a hurry and has a dual-threat signal caller in Trace McSorley. Behind Buckeye Dwayne Haskins, he’s the best quarterback in the Big Ten and one of the best in the country. He’s also 2-0 against Iowa in his career (a blowout in 2016 and a nail-biter in 2017). But the Nittany Lions are more than beatable. The loss to Ohio State earlier this year proved that and the loss to the Spartans echoed it. A win in Happy Valley isn’t out of the question, and, according to the early line for the game (minus-5) it’s reasonable. I think Purdue will be a tougher matchup than most people think. This isn’t the usual Boilermaker squad that wins three to four games. This team has won four games in a row and could realistically win eight games in 2018. Yes, McSorley is one heckuva quarterback, and Penn State’s offense is explosive, but so is Purdue’s. 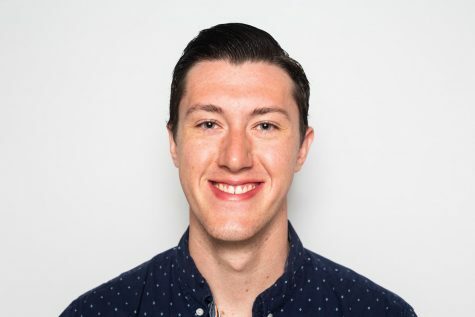 Led by quarterback David Blough, Purdue averages 35.7 points per game, fourth in the conference and just a touchdown shy of Penn State’s 42.6 mark. Blough has more passing yards (2,073) and touchdowns (13) than McSorley, and he’s got a better passer rating. Plus, Purdue has a defensive coordinator’s worst nightmare in Rondale Moore, a speedy do-it-all receiver for the Boilermakers. He’s also a true freshman. Also worth noting, head coach Jeff Brohm is midway through his second season at the helm. 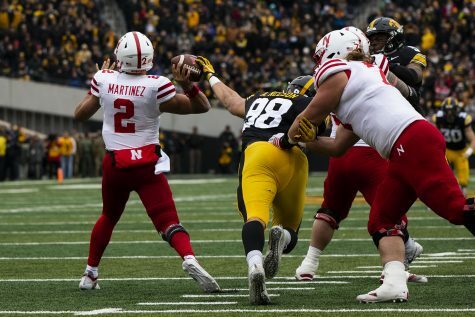 Much like the manner in which Iowa’s offense continues to expand now that it’s in Year 2 with Brian Ferentz, Purdue is the same. Brohm throws a new wrinkle in his system each week, and teams (cough, Ohio State) haven’t been all that well-prepared. Granted, Iowa’s trip to Purdue is still two weeks away. 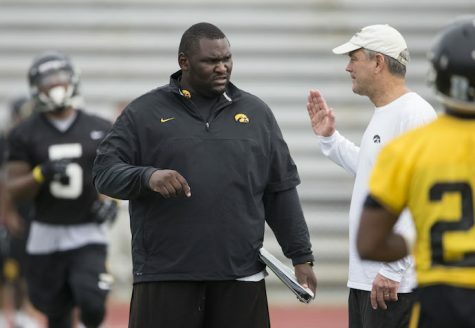 But these next two games will be crucial in Iowa’s attempt to regain control of the West. Iowa could use a hand from Wisconsin, though. 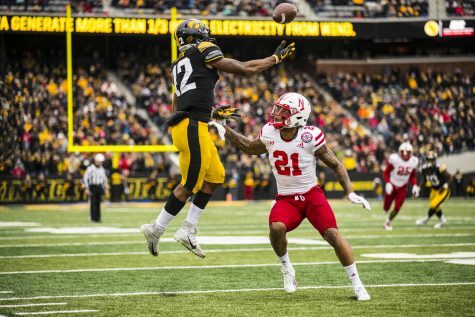 The Hawkeyes need at least one more Badger loss, and with their remaining schedule, it’s not out of the question. Wisconsin will play Northwestern, Rutgers, Penn State, and Purdue over its next four games. You can put a Rutgers win in the category of “things that will never happen,” but the other three games are legitimate threats to Wisconsin’s winning out. 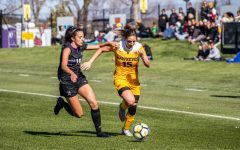 The Badgers haven’t played their best football recently, but at the same time, Iowa seems to be hitting its stride. 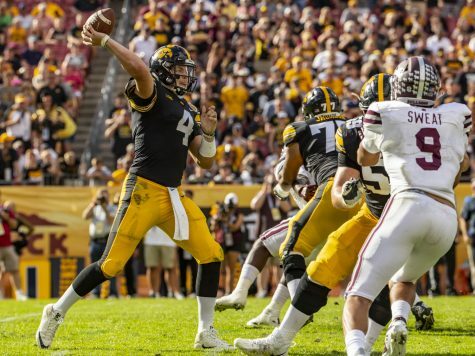 Iowa has looked dominant over its last three games and is the West’s hottest team. 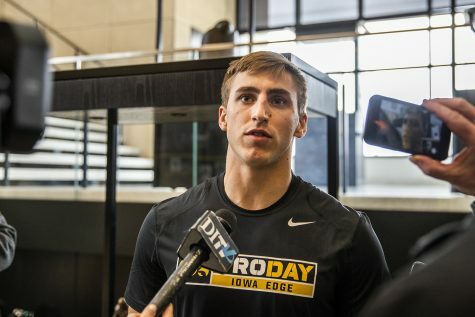 The Hawkeyes have their sights set on Indianapolis. These next two games are going to be a real test on whether those dreams become somewhat tangible. 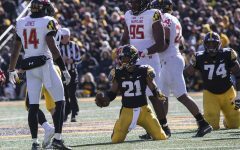 Report Card: How did the Hawkeyes do against the Terrapins?